Warehouses can be dangerous places to work and may contain numerous potential hazards that could lead to accidents and injuries. In order to maximise safety, each of these risks needs to be accounted for. This includes taking note of the height and stability of shelves, sharp edges, exposed columns and the potential for vehicles colliding with pedestrians. Once all risks are known, steps can be taken to make the workplace safer. There are several ways to minimise the risk of collisions involving vehicles and pedestrians in a warehouse, such as reducing blind spots wherever possible and keeping the facility well lit. It is also useful to ensure that staff are trained to be aware of their environment and move around with the utmost care. If space allows, barrier safety systems can be used to increase separation between vehicles and pedestrians, creating clear, highly visible paths to minimise the potential for accidents. Sharp edges on shelves can cause injuries to anybody that touches them, but corner guards can render them safe. Installing guards makes the hazard more visible so people are aware of the danger and don’t mistakenly hurt themselves. They also improve protection by either covering the sharp edge or preventing people from getting close enough to touch it. Columns are essential parts of many industrial structures and help to support the load of the roof. They can also be hazardous to both staff and vehicles, creating additional obstacles that need to be highlighted. Column protectors can achieve this and also help to defend the column from damage, improving safety and also reducing the cost of repairs. 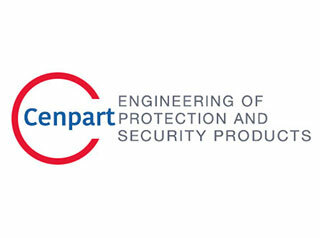 At Cenpart we are committed to helping clients who use warehouses as part of their operations to improve safety standards. We offer a wide range of products to meet all needs and can provide bespoke solutions to the specific problems facing your workplace. We handle manufacturing, installation and repairs too, giving each client the convenience of only having to deal with a single specialist. If you would like help tackling the risks to safety in your warehouse, please contact us.